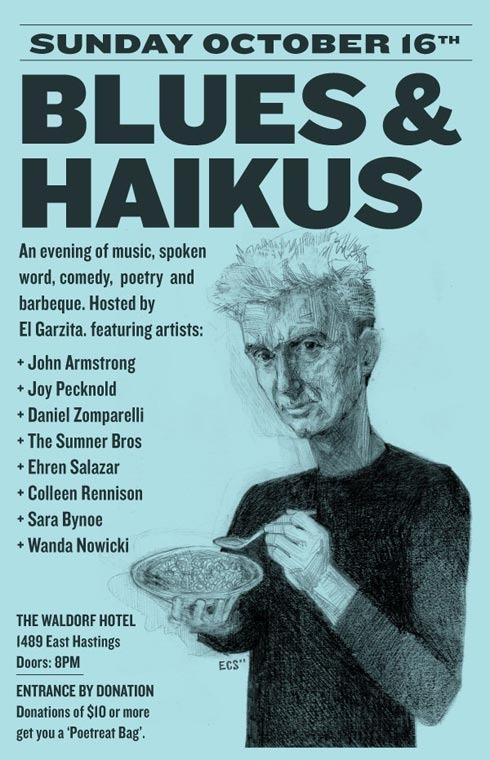 This Sunday I will be on stage at this lovely event at the Waldorf Hotel on East Hastings. I will be sharing some of my recent writing. It’s a risk since most of what I’ve done lately is read terrible writing at Say Wha?! and made fun of my cringe-worthy adolescent writing at Teen Angst. But don’t worry, it’s still angsty and silly – true to my voice. I hope to see you at there. Don’t just come for me, there’s a lot of talented people on this bill and I’m looking forward to what they’re going to share.